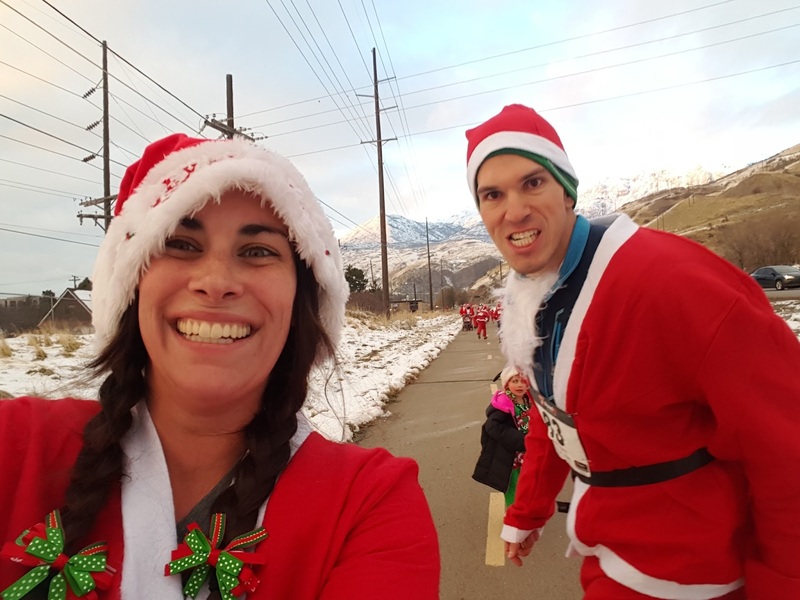 In following with my running holiday traditions, here is my last race report of the year--a Christmas themed race, the Utah Santa Run. This race, put on by One Hill Events, was a 5K out-and-back run starting and ending in the Riverwoods Shopping Center in Provo. That was pretty convenient, allowing us to finish up on any lingering Christmas shopping we had left. But really the draw of this race is that, included with our registration, we got Santa suits. It. Was. Awesome. 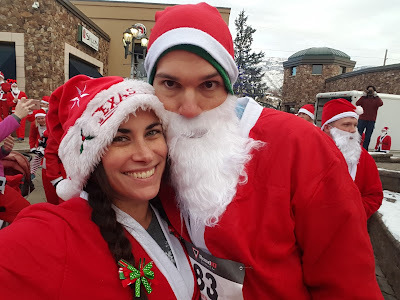 This race came with SANTA SUITS! 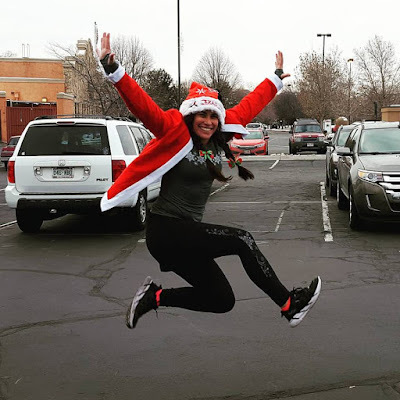 I usually run a Christmas theme run each year in December. But this year, both my husband and my daughter joined me. I think that this has shifted from a Rachel-tradition to a family tradition, and I love that. 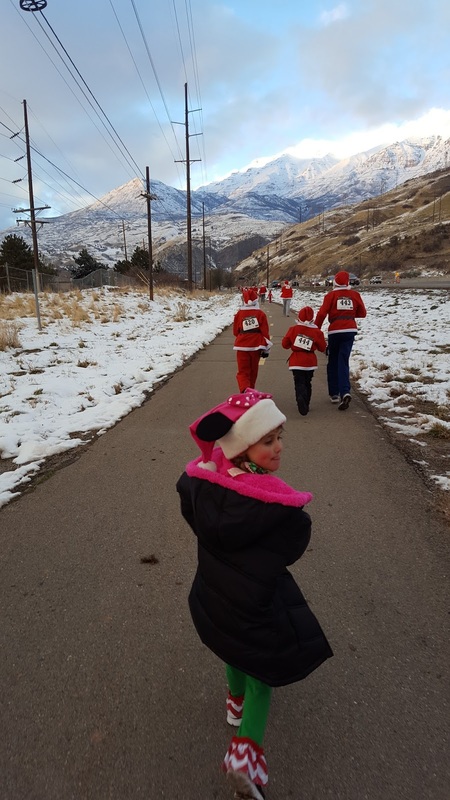 Sure, for now at least, that means that we are walking a lot more and going at a much slower pace than we normally would since we're running with our daughter. But, we also got to enjoy this race together as a family, encouraging each other to keep moving and to stop whining. 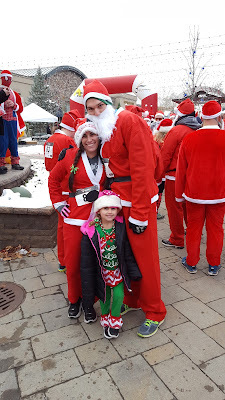 We ran through the sea of Santa's, and added two more Santa's to the crowd. 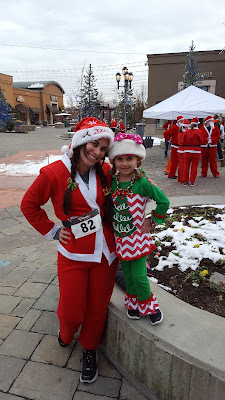 My daughter wore her elf outfit and hoped that all the Santa's would think that she was a real elf! 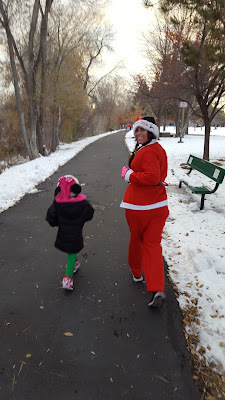 As we got further into the course, we would happen upon rouge Santa hats, belts, coats, and even pants! I guess Santa Claus was getting warm on his run. The aid stations were stocked with the usual Gatorade and water, but also milk and cookies! My daughter stuffed her mouth full of cookies, but my stomach cannot handle that much sugar at once during a workout, so I kept with the water. The view was amazing as we ran toward the mountains. And silly picture. As we rounded the turn to head back into the shopping center from the running trail, we saw the inflatable finish arch with inflatable Santa, reindeer, snowmen, and penguins all around. And even more milk and cookies! And also the real Santa and Mrs. Claus! And our well-earned finisher medals. 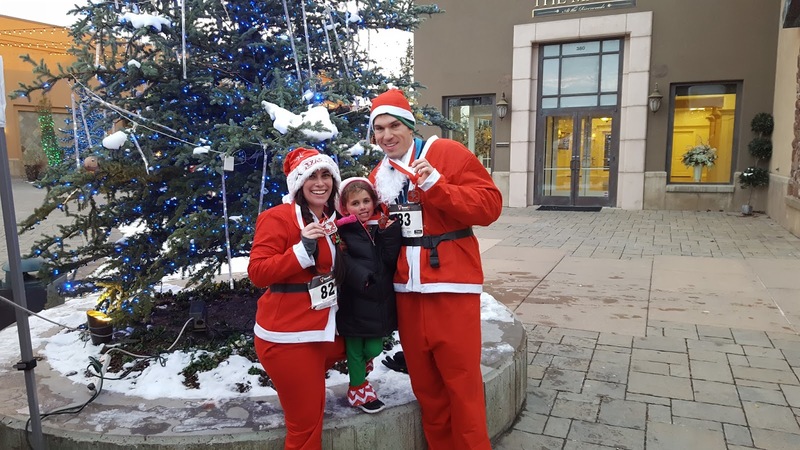 We Santa's and our elf earned our finisher medals! Although we didn't go super fast, we had a great time sticking together as a family. My daughter even passed quite a few people! She is such a little athlete. This was such a fun and festive race, and a great way to start off December. 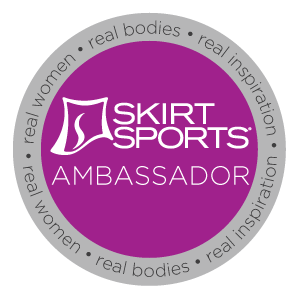 I'm sporting Skirt Sports' Hot Legs Limited edition collection under this suit!